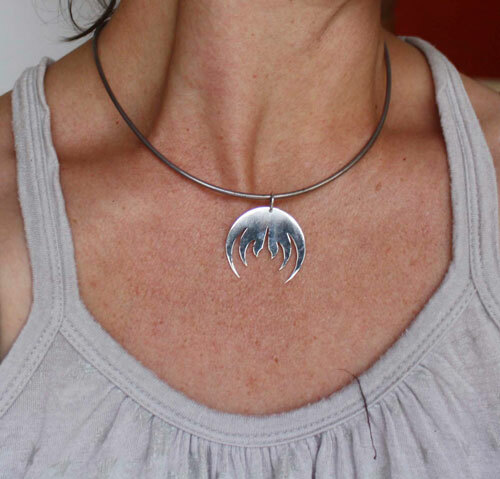 This pendant is made of sterling silver made by hand in my workshop. 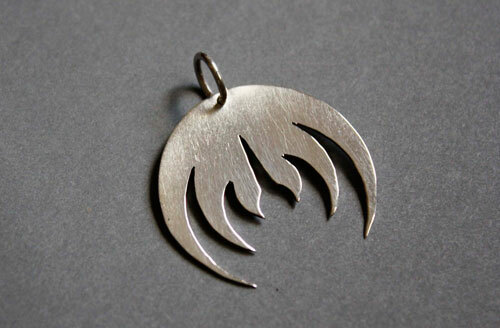 It represents the logo of Magma. Magma is the group who created the Zeuhl music movement. They mix rock, jazz and choral. 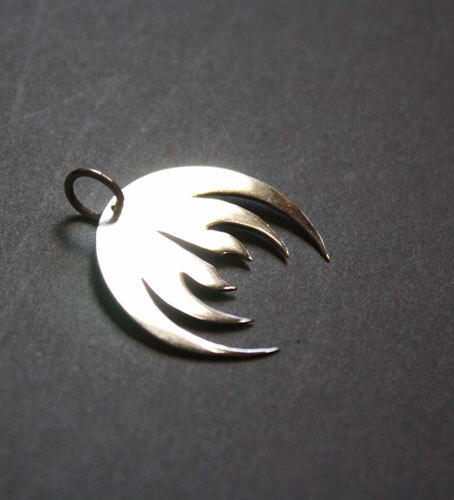 This pendant was created for a personal project. 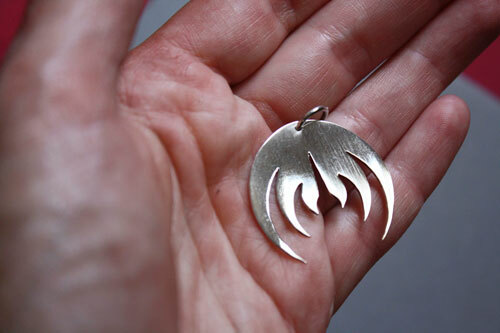 If you’d like to have one of your logos or sketch made into a piece of jewelry, feel free to contact us.